From 1984 until 2001 I was Head of History at a Scottish secondary school. From 1991 until my retirement in 2007 I was also the Local Secretary of the largest Teachers' Professional Association in Scotland. This website contains a number of Directories of senior appointments and postholders in areas of public life in Great Britain and other countries. These areas are ones of particular interest to me and have been the focus of ongoing research. In most cases this research stretches back over several decades. The intention is to attempt to keep these directories regularly updated in the hope that the information contained therein may prove a useful and accessible reference tool for others who may share some of my diverse interests. I would welcome comment, corrections and amendments since I am conscious that there are gaps and omissions in the information. I can be contacted at comment@gulabin.com. 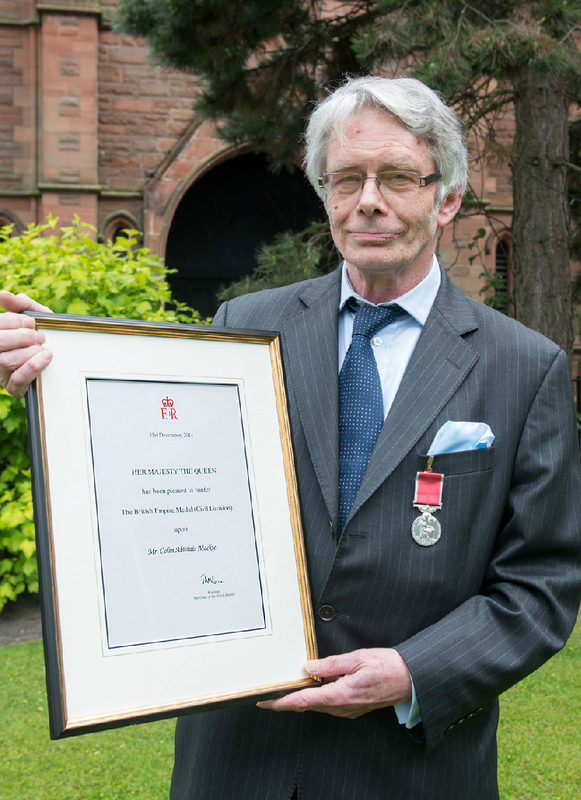 Colin Mackie holding the citation for the British Empire Medal awarded to him in the 2015 New Year’s Honours List for services to Public History and Heritage.